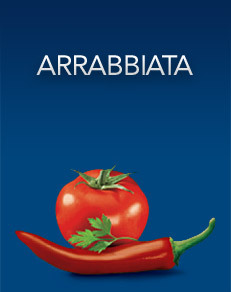 With at least 8 Italian tomatoes in every jar, Barilla’s Arrabbiata sauce is a delicious blend of spicy chillies and 100% authentic Italian ingredients. With no added preservatives, Barilla pasta sauce is cooked slowly to give a thicker and richer texture, and clings perfectly to your favourite Barilla pasta. The lean shape of Penne Rigate is ideal to taste the rich Arrabbiata sauce with all its spicy flavour. To give an extra flavour boost, add some finely chopped fresh parsley before serving. Or try adding torn basil leaves and Extra Virgin Olive oil.